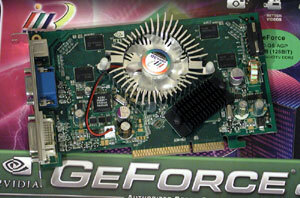 I've checked out this new video card from Inno3D, the GeForce 7600 GS AGP. That's right - AGP! Instead of a conventional review, I thought it would be interesting to see if this quite cheap mid-range card can be used to extend the life of a fairly grunty AGP-based machine. Can AUD $200 or so get you gaming in high resolution again, while you wait to move to PCI Express?